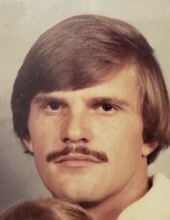 Mr. Teddy N. Montgomery of Greensburg, Kentucky, son of the late Houston Montgomery and Dorothy Lou Hazel Montgomery, was born on January 10, 1958 in Taylor County, Kentucky and departed this life on July 19, 2018 at his residence. He was 60 years, six months and nine days of age. He had made a profession of faith in Christ. He is survived by his sister and a brother-in-law, Vicki and Jeff McIntosh of Greensburg. Other survivors include three nieces: Mandy and Brandon Burd of Greensburg, Melony and Sean Sharpe of Taylorsville and Miranda McIntosh of Greensburg and a host of other relatives and friends. He was also preceded in death by a son: Nathan Montgomery on March 21, 2011. A Graveside service for Mr. Teddy N. Montgomery will be held Saturday, July 21, 2018 at 11 A.M. Central time at the Montgomery cemetery. Bro. Ed Montgomery and Bro. Sean Sharpe will be officiating. Memorials are suggested to be made to the Hazel Cemetery Fund and can be made at the funeral home. To plant a tree in memory of Teddy N. Montgomery, please visit our Tribute Store. "Email Address" would like to share the life celebration of Teddy N. Montgomery. Click on the "link" to go to share a favorite memory or leave a condolence message for the family.